Unlike some other banks, Citibank doesn’t have a bazillion credit cards on offer. Instead, they only have a handful, and each card in their stable serves a very specific purpose. Therefore, choosing a Citibank credit card is straightforward – the categories you spend in will tell you which one to go for. If you want to earn miles with your Citibank card, the Citi PremierMiles card is your best bet. It won’t give you crazy returns on your spending, though – the earn rates are only average (compare it against the other miles cards in Singapore here). To really maximise your miles, use the Citi PremierMiles card to do your flight and hotel bookings to take advantage of the accelerated earn rates. You might also want to stalk Citibank for a good sign-up promotion (it changes every couple of months) before you sign up for the card. Click here to read the full review of the Citi PremierMiles Card. Now, Citi has extended the bonus categories to all online spending, excluding travel-related expenses. You get 10X rewards points on these categories, which you can put towards air miles, shopping vouchers, hotel stays, dining vouchers, etc. This makes the Citi Rewards Card a powerful one because you can use it for everyday online, offline, local and overseas expenditure. 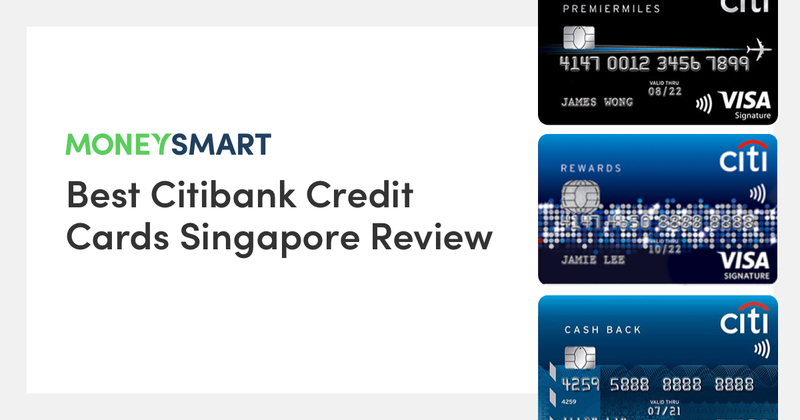 See how the Citibank Rewards Card compares to other rewards credit cards in Singapore. See the full review of the Citibank Rewards Card here. 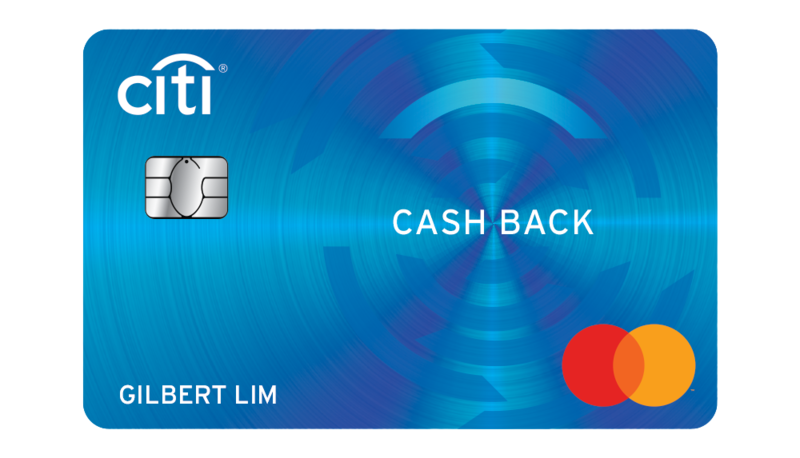 There are many all-purpose cashback credit cards in Singapore, but the Citi Cash Back Card stands out as one of the best with a high 8% rebate on Singaporeans’ everyday spending categories: Food (dining out & groceries) and transport (petrol & Grab rides). Middle-class families and couples with high expenses will not find it difficult to hit the minimum spending requirement of $888 a month to qualify. The tricky thing with this card is managing the individual cashback caps of $25 per category, which works out to about $300 of expenditure for each of the 4 categories. 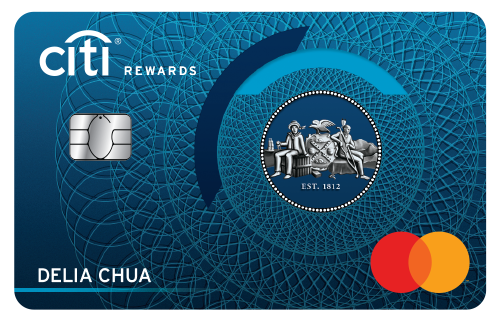 See the full review of the Citi Cash Back Card here. 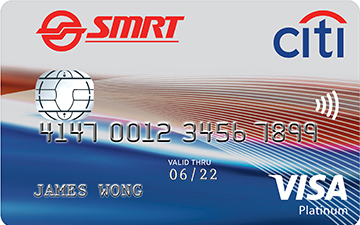 If you have trouble hitting the minimum spend of the Citi Cash Back Card, the Citibank SMRT Card is a very decent alternative as it has no minimum spend imposed. It’s an ideal card for fresh grads, part-time students or frugal Singaporeans. Or pair it with a dedicated credit card for e.g. petrol or dining, so you don’t have to worry about hitting the minimum spend on too many cards. 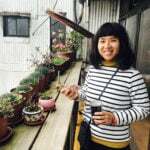 Do you use Citibank credit cards? Tell us why or why not in the comments!